'Insistently asks the question: What would you do? Would you fight, or acquiesce, or collaborate? ... Karski was deeply patriotic and ludicrously brave ... an astonishing testament of survival' Ben Macintyre, author of Operation Mincemeat It is 1939. 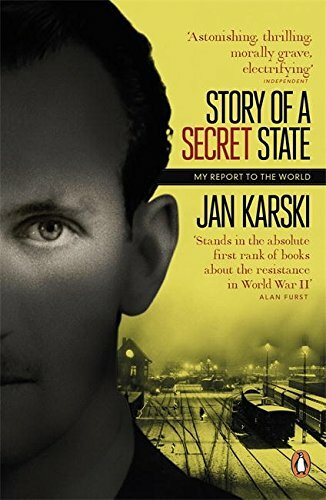 Jan Karski, a brilliant young Polish student, enjoys a life of parties and pleasure. Then war breaks out and his familiar world is destroyed. Now he must live under a new identity, in the resistance. And, in a secret mission that could change the course of the war, he must risk his own life to try and save those of millions.